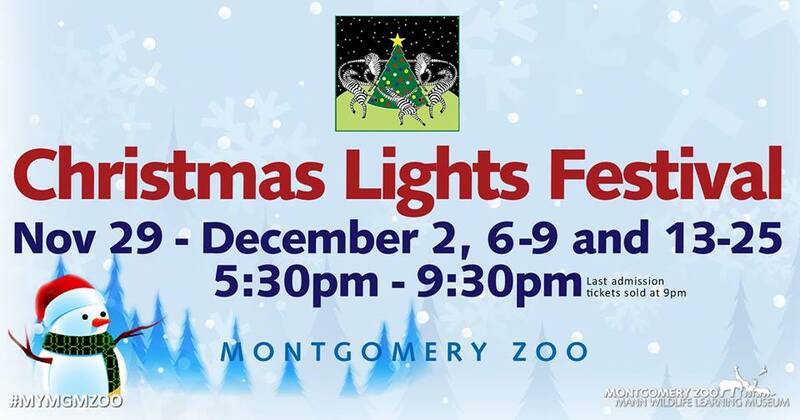 See the Montgomery Zoo transformed into a Winter Wonderland sparkling with thousands of lights and festive decorations during their annual Christmas Lights Festival, November 29 - December 31st. Take a leisurely stroll, a brisk train ride or see the lights from atop the Zoofari Skylift Ride. Visit Santa, enjoy the live nightly entertainment and no winter's night would be complete without some warming hot chocolate and fresh baked cookies. Check out a list of extra activities here. Regular night time admission: $17 (ages 3 years old and older). Ticket includes entry and one Christmas Lights Festival train ride. Early Bird Combo (ZOO), visit the Zoo in the afternoon then stick around for the Christmas Lights Festival that night: $30 (ages 3 years old and older). Ticket includes entry to the Zoo during the afternoon, Christmas Lights Festival (same night) and one Christmas Lights Festival train ride. 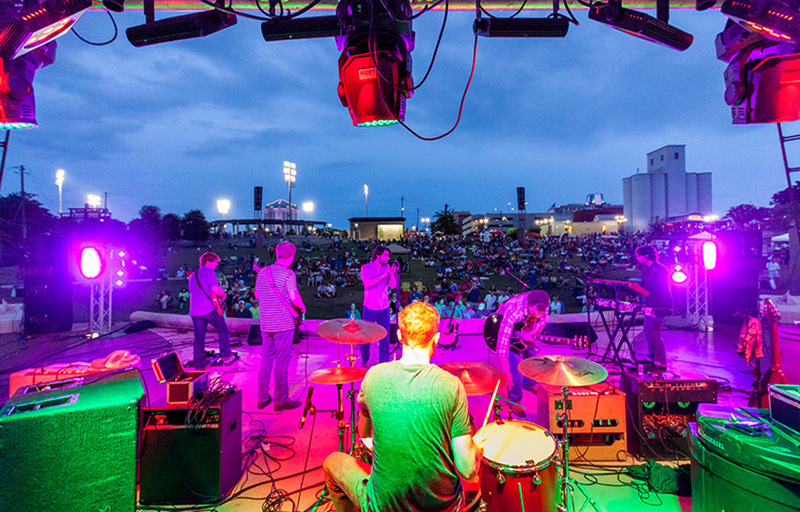 The festival runs from 5:30-9:30 pm nightly November 29-December 2, December 6-9, and 13-25. Last admission is at 9:00pm, and all guests must exit by 9:30 pm. For more information, call (334) 240-4900.